The EasyBird auto trap provides the shooter with all the tools they need to throw consistent and challenging targets. 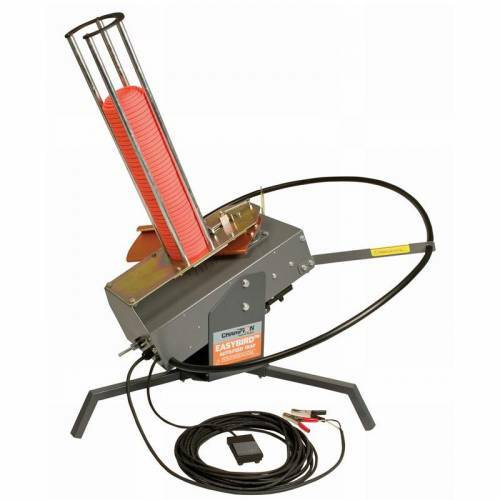 The affordable and portable EasyBird electric trap automatically feeds from the 50 clay capacity magazine and makes target shooting a breeze. Runs off a standard 12-volt battery for continuous throwing.